Located in the foot of the Vitosha Mountain the city of Sofia is famous as the cultural and economic motor of our country. More than 1/5th of the state’s population is centralized here. Sofia was a very busy city in the ancient times too, but today it is enlarging every single day. After Bulgaria has been approved for a membership in the European Union the investments flew and the city changed drastically its appearance turning into a modern and busy centers in Europe being visited by hundreds of thousands of tourists annually. 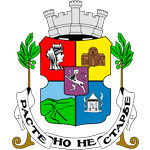 The concentrating of the intellectuals of Bulgaria is a example for the high standart of the city. The many theaters and community centers provide brain nutrition and its proximity to the Vitosha Mountain – the fresh air. It is very hard for a single man to get bored in our capital because there are a lot of historical monuments which are the most attractive touristic places in the area. The visiting of the ancient temples itself could last for several days. The night life is Sofia never ends. All the bars and discos are overcrowded. In Sofia are located the boutiques of all of the world famous designers – a prove for the importance of the Bulgarian market to the foreign businessmen. Unfortunately the city-transport is a serious issue every year. The always delaying busses, changing vehicles and all the jam will guarantee you an unpleasant experience. It is not a rare fact that a few kilometers of travelling would last for a several hours. The taxies are also an option but the traffic jams would cost you a lot. These are the main reasons for renting a car for transport if you are a guest or a visitor of Sofia. There are too many companies and there is a chance to fail into an uncorrect one. Irent is a company that has proven its professionalism and honesty. The popular prices of our cars are affordable to anyone and the large car-park is to guarantee you will find the most appropriate vehicle for you. Irent succeeds in outrunning the competition with prices of 22 euro for a economic car and 55 for jeeps. Our prices include all the insurances and road assistance taxes as well as an unlimited mileage. The cars are brand new and you do not need to worry if they are upright. We are offering GPS navigators for reaching any destination in no-time. Renting a car for longer period will bring you pleasant rebates. Irent offers professional drivers for hiring. They can drive you to any destination fast, safe and comfortable. All of them are of great experience which is to certificate your safety on the road. For businessmen abroad we offer the “Meet and greet” service – our employee will meet you at the airport and drive you to any location. Irent has parking slots on each airport which will save you a lot of money and time and on the other hand is to guarantee the security of your vehicle. You can rent a car online filling a blank where you can state the exact time and date of the pick-up. The company offers trips to winter resorts and golf fields where you can enjoy the beauty of our nature. Irent the only choice of people valuing their time and money.